Silly fun. That’s why listeners tune in. They’re looking for a team that likes each other (they can tell if you don’t) who want to provide a respite from the stresses of life with a laugh or smile each morning. They’re drawn to these two elements – the chemistry of the cast and amount of humor you offer around the topics of the day. 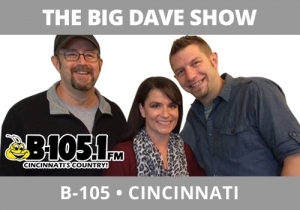 The Big Dave Show, B105, Cincinnati is a terrific example of a show that has these attributes. Chelsie is obsessed with Keith Urban. To showcase the team’s chemistry, Dave and Statt arranged for “Keith Urban” to call on her birthday. It’s obvious this Keith Urban is a fake from the start, but the goal is to just have some fun – and in the process the audience feels a part of the joke, we highlight how much the cast likes each other, and the audience leaves having had a good time.